Alexander Berlage is an award-winning director and lighting designer. Alex won this year's Sydney Theatre Award for Best Direction of a Musical for his work on CRY-BABY, a production which also won Best Production of a Musical, Best Female Actor in a Musical and Best Design of an Independent Production. Alexander’s 2018 productions of THERE WILL BE A CLIMAX, CRY-BABY, and HOME INVASION received a combined total of 12 Sydney Theatre Award nominations. For THERE WILL BE A CLIMAX, Alex was nominated for Best Direction of an Independent Production and Best Independent Production. Alexander’s directing work includes: CRY-BABY (LPD in association with Hayes Theatre Co); THERE WILL BE A CLIMAX (Redline Productions/NIDA); HOME INVASION (An Assorted Few/Old 505); and THE VAN DE MAAR PAPERS (An Assorted Few/PACT). He was visual director for Sydney Chamber Opera’s RESONANT BODIES. In 2019, Alexander directs Branden Jacobs-Jenkins’ GLORIA at the Seymour Centre for Outhouse Theatre Co; and AMERICAN PSYCHO: THE MUSICAL at the Hayes Theatre. 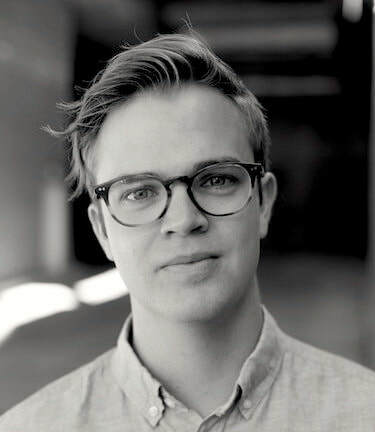 As a lighting designer, Alexander has worked for Sydney Theatre Company, Griffin Theatre, Ensemble Theatre, Sydney Chamber Opera, Sydney Dance Company, Australian Theatre for Young People, Old Fitz, and Hayes Theatre Co with directors such as Jessica Arthur, Mitchell Butel, Constantine Costi, Marion Potts, Imara Savage and Kip Williams. Alexander’s lighting designs include: for Sydney Theatre Company, CLOUD NINE, LETHAL INDIFFERENCE; for Griffin, GOOD COOK. FRIENDLY. CLEAN., NOSFERATUTU, THOMAS MURRAY AND THE UPSIDE DOWN RIVER; for Ensemble Theatre: MAJORIE PRIME, UNQUALIFIED, BUYER AND CELLAR, THE KITCHEN SINK; for Sydney Chamber Opera, LA PASSION DE SIMONE, RESONANT BODIES, VICTORY OVER THE SUN, AN INDEX OF METALS associate; for Belvoir 25A, THE OVERCOAT; for Sydney Dance Company, NEW BREED, PPY18: REVEALED, PPY15: REVEALED; for Old 505 Theatre, HOME INVASION (with An Assorted Few), THE BLOCK UNIVERSE, HILT; for Australian Theatre for Young People, MOTH, WAR CRIMES, BETWEEN US, LUKE LLYOD: ALIENOID; at the Old Fitz, THE EFFECT, STALKING THE BOOGEYMAN, THERE WILL BE A CLIMAX, VERTICAL DREAMING, 4:48 PSYCHOSIS, DOUBT, CRIMES OF THE HEART, THE JUDAS KISS, THE BITTER TEARS OF PETRA VON KANT, THE WHALE, MEN, FREAK WINDS, HOWIE THE ROOKIE; at Hayes Theatre Co, CRY-BABY, HIGH FIDELITY, DOGFIGHT, EVERYBODY LOVES LUCY; for Critical Stages, SONGS FOR THE FALLEN, 4000 MILES, STONES IN HIS POCKETS. Alexander won the Sydney Theatre Award for Best Lighting Design of an Independent Production in 2017 for his work on 4:48 PSYCHOSIS by Sarah Kane. He received Sydney Theatre Award nominations for his lighting design on THE WHALE, THE BITTER TEARS OF PETRA VON KANT and DOUBT. In 2019, Alexander’s lighting designs include Sydney Theatre Company’s production of LORD OF THE FLIES directed by Kip Williams; DEAD CAT BOUNCE directed by Mitchell Butel for Griffin Theatre; and GROUNDED directed by Domenic Mercer for National Theatre Company of Parramatta. Alexander holds a Bachelor of Dramatic Art (Production) and a Master of Fine Art (Directing) from the National Institute for Dramatic Art, Sydney. In 2014, he participated in the Watermill Centre International Summer Program in New York.